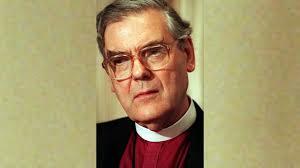 On 6 March, 2019, Lord Habgood, who was Archbishop of York from 1983 to 1995, died at the age of 91. Eighty years earlier, at Eton, he hated games, but enjoyed chapel, although he rejected anything to do with God. He was keen on physics and in 1945 (the year I was born) he won a scholarship to King’s College, Cambridge, to read natural sciences where he gained a double first class honours degree. John Habgood arrived at Cambridge as an atheist, but a Christian Union mission gave him a fresh interest in God. He went to the mission meetings partly to enjoy the free crumpets and was greeted with the question: ‘Are you saved?’ He was unable to give a straight answer to the question, but his experience of the mission, and his love of teaching, led him to consider ordination. In 1953 he entered Cuddesdon Theological College and later began his ministry as a curate at St Mary Abbots, Kensington. I am writing about John Habgood this month because late in 1993 and early in 1994 I read his book Making Sense and it had an influence on my thinking which I have never forgotten. Partly this was because, as a clever scientist who had undertaken research for the Medical Research Council and who became a spokesman of the church on matters scientific, Dr Habgood was one of the first Christians to challenge Richard Dawkins’ atheism. Rejecting Dawkins’ caricatures of believers as ‘know-alls’, ‘no-nothings’ and ‘no contests’, Dr Habgood criticised the ‘blinkering effect of an exclusive concentration on science, which in the hands of some of its single-minded practitioners can develop its own quasi-religious mythology’. But most of all, and especially at this Easter time, I warm to Dr Habgood’s attitude to Jesus. ‘Christian faith,’ he wrote, ‘centred on the cross and resurrection has a unique capacity to create meaning out of apparent meaninglessness … Those who take their starting point in Christ find themselves commissioned to make sense of their experience, as He made sense of it, by using it for God’. In its obituary of John Habgood, The Times observed that although he was ‘not so good at small talk’ he was a ‘man of spiritual generosity and kindness’. I, for one, will always be grateful for the spiritual insight and inspiration he leaves us all in his writing.